Masasi – Nachingwea Water Supply and Sanitation Authority (MANAWASA) was officially established by the Government Notice No 105 of 2013.MANAWASA is a National Project Supplying portable Water and Sanitation Services in Masasi and Nachingwea town. The utility has two zones, Masasi District and Nachingwea District zone with the head quarter located in Masasi District.MANAWASA is looking for dynamic, results driven individual to all in the vacant posts. Nature of Employment: Permanent and Pensionable. Engineering/Electromechanical Engineering from recognized Institutions and three years relevant experience as an artisan in the pump House and Dam. Carries out service of the motor/pumps at Mailisita and Chiumbati according to the maintenance schedule and replaces worn out parts. Analyzes operations and working conditions of motor/pump on monthly basis. Assesses and recommends the replacement needs for bearings, grand parking, bushes and shaft when necessary. Maintains proper records of Water Pumps register. Carry out water production on time. Performs any other related duties as may be assigned by Supervisor. Good working relationship with all levels. Be able to work and take direction within a mult- disciplinary and mult- cultural work environment. Plumber Grade II (7 Posts). Holder of Form IV Certificate with Trade Test ll/l in Plumbing/ Pipe fitter with three years work experience in plumbing works. Reports all water leakage as assigned. Reports water loss, distribution faults and recommend necessary action. Reports unauthorized water connections, Maintain records of water theft incidences and witness such incidences in court whenever needed. Maintains proper records of water connections/disconnections/reconnections carried out. Disconnects water from customers who are indebted to MANAWASA and have not paid their bills on time. Prepares data for periodical reports to the supervisor. Reports contamination of water distribution system by customer’s service lines. Driver Grade II (5 Posts). Reports to: Human Resource and Administration Manager. Department: Human Resource and Administration. Possession of Form IV Secondary School Education and Class C valid driving license and a trade test III or advanced drivers certificate grade II from a recognized institution like VETA/NIT, with not less than three years driving experience. Checks vehicle every morning to ensure it is fit to be driven before driving. Drives vehicle safely taking into account traffic laws, safety of passengers and other road users and value of the vehicle. Carries out minor vehicle repairs. Takes passengers and language where they are intended. Reports to administration when the vehicle needs major repair and regular maintenance service when time is due. Reports to administration when insurance of the vehicle is about to expire and due for renewal. Keeps record of vehicle movements, distance covered within its logbook. Keeps record of fuel and tyres filled within its logbook. Performs any other duties related to the above assigned by superiors. (a) Nature of Employment: Permanent and Pensionable. Holder of Master’s Degree in Procurement and Supplies with Certified Procurement and Supplies Professional and registered with PSPTB as Authorized Supplies Officer/Stock Verifier, who is computer literate, conversant with the Procurement Act and with more than Seven years relevant experience in the procurement sector. Heads the Procurement Management Unit and is responsible for all day to day administrative issues. Performs all the functions of procurement in accordance with provision contained in the Public Procurement Act No. 7 (2011) Section 38. Manages all procurement and disposal by tender activities of the procuring entity except adjudication and the award of contract. Acts as a secretary to the Tender Board and implements Tender Board decisions. Recommends procurement and disposal by tender procedure. Ensures availability of policy, standards and procedures for acquisition, storage and issue of all materials and services required for the proper operations and maintenance of the water supply and sewerage systems. Ensures coordinated procurement of materials and services in compliance with Authority’s tendering and ordering procedures. Reviews for approval all purchase orders before they are issued to suppliers. Ensures timely deliveries of purchased materials and takes appropriate corrective action on any delayed items. Monitors all available information sources on market trend that may have an effect on prices/lead times and make recommendations for action to the Managing Director. Ensures that the Authority is continuously informed of new water materials and shipment techniques. Co-ordinates with departmental and sectional heads for the salvage of usable materials and the disposition of absolute and non-salvageable items. Establishes, evaluates and maintains reliable primary and secondary sources of materials supply to ensure continuity of the Authority’s operations. Ensures proper implementation of store procedure and documentation. Ensures proper record keeping system is maintained for all inventories. Carries out stock balancing in quantity and value every month, quarter, half year and end of the year. Carries out annual stock taking of all materials, movable and immovable fixed assets. 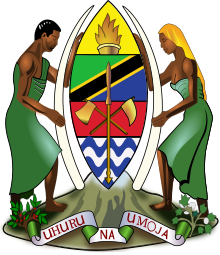 All applicants must be citizens ofTanzania. Curriculum Vitae (CV) with reliable contacts, postal addresses, E-mail and Telephone/mobile numbers. Applicants must attach their relevant copies of relevant Academic Certificates, Form IV and Form VI National Examination Certificates, Birth Certificate and two recent passport size photographs. All posts attract competitive salary plus other fringe benefits. The deadline for submitting application is 27th August 2018 at 17:00 hours. Only shortlisted candidate will be contacted for interview, and those who will not hear from us should consider themselves as un-successful.